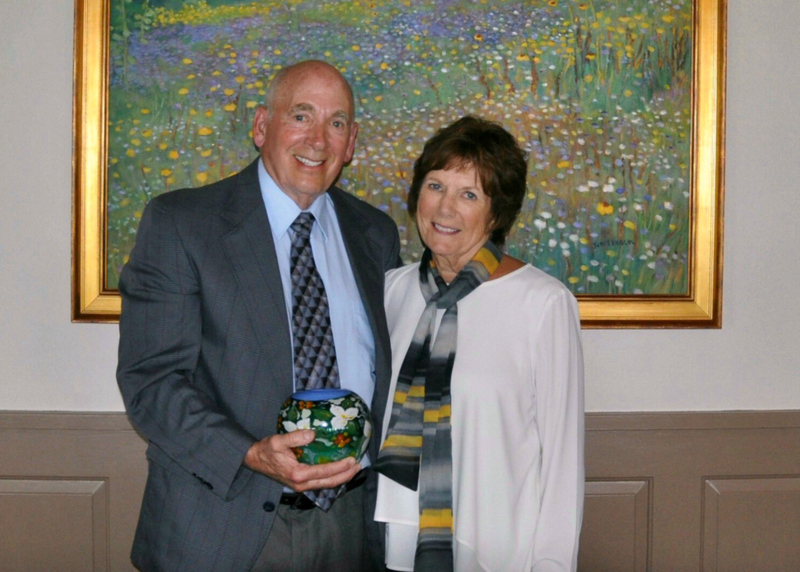 Each year, the Community Foundation honors Door County’s great philanthropists. But how exactly do you define a philanthropist? Donating to charity makes one a donor, and that is a beautiful thing to be. It’s critically important to our community that we all give to charity on a regular basis. But simply writing a check is not sufficient for a person to become a philanthropist. Next to our love, the most precious thing we have to give is our time. A philanthropist is one who gives generously of both of these most valuable of treasures. They see an issue (or an opportunity) and cannot sit idly by while that condition exits in the world. So they must act. A philanthropist is born when a donor’s passion compels them to give more of themselves than merely money. They give of their time to the charities they care about. They share their wisdom as members of boards of directors. Philanthropists champion the causes that resonate in their heart and cannot help but openly share their passion with those around them. Their enthusiasm for community service is contagious. Perhaps most important, a philanthropist is one who believes that the best way to lead is by serving others. These are the qualities the Community Foundation seeks in the people it honors. Born and raised in Door County, John Herlache has had our community in his heart for a lifetime. In 1960, John left the peninsula to pursue a medical degree from University of Wisconsin-Madison. Upon the completion of his residency in Ann Arbor, John served in Germany with the Medical Corps of the U.S. Army. In 1975 John returned to Door County and started a practice. As a surgeon at Lakeside Surgical Associates and Door County Medical Center, John spent his entire career caring for the people of Door County. John and his wife Nell raised their children Dan, Mike, and Katie in Sturgeon Bay and now have 6 grandchildren. Though modest about his impact on the community, John’s work in the world of charity runs the gamut. He has worked with the YMCA, Door-Tran, Peninsula Players, Neighbor-to-Neighbor, Belgian Heritage Center, Sturgeon Bay Rotary Club, and countless other non-profits in the community. John is one of the original signatories on the articles of incorporation that created the Door County Community Foundation making him one of our two longest-serving board members. Reviewing John’s charitable work, it is obvious he strives to create systemic change in Door County and beyond. In the mid-70’s the death of a friend’s father motivated John to create said change in our rural community. The County had EMTs which could provide basic life support, but John saw firsthand that the people of Door County were in danger because of the geography of the County. John is responsible for the paramedic program in Door County, the very first rural paramedic program in America. Because of John, a first responder is within about 5 minutes of every corner of Door County. The unqualified success of the program has inspired other rural communities throughout the United States to create similar programs. In addition to the paramedic program, John established the first multi-specialty care clinic in our community. “He is the father of modern healthcare in Door County, bringing multi-specialty care to the county for the first time,” says John’s son Mike Herlache, the Executive Director of the Door County Medical Center Foundation. Furthermore, John is responsible for Door County’s cardiac rehab program, our physical rehabilitation program, and the first rural ambulatory surgery center in the state of Wisconsin. 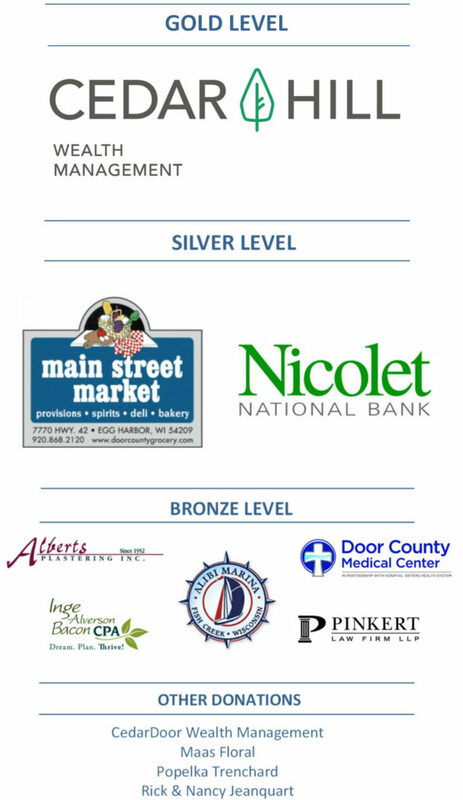 John’s work with the Sturgeon Bay Rotary Club has had a positive impact locally, nationally and internationally. Along with fellow Rotarians, John has worked to restore Little Lake, created a Youth Leadership Camp for the district, and provided research support to PowerFlour. PowerFlour is flour made from barley malt used to help eliminate severe malnutrition. Working with other Rotarians around the world, John has helped in developing a program that has made Uganda self-sufficient in the prevention and treatment of malnutrition benefitting millions of Ugandans. “I think everybody, to whatever capacity, has a responsibility for the local community, for the nation, and for the world. We’re all citizens of those three things, and should try to do something for all three,” says John. The Door County Community Foundation is pleased to honor John Herlache as the 2017 Philanthropist of the Year.